A response security profile allows decrypting SOAP requests encrypted per the WS-Security standard. The Web Services Security panel can be accessed with Edit > Preferences > Project Preferences > Web services Security. 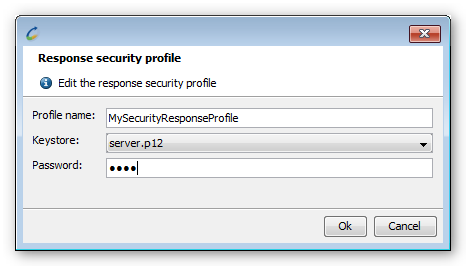 The button opens up the response security profile editing window. Profile name: Profile name. This must be unique. Key store: Keystore. For more information about importing a new key store into NeoLoad, see Keystores Manager.